Brad Hammel started his own business, Bradley E. Hammel, CPA, PA on Nov. 1, 2004 by buying an established firm in Oskaloosa, KS. He then opened another office in Topeka, KS. His business and clients have expanded over the last several years to include more of Topeka and the surrounding community. After more than 10 years running the firm in Oskaloosa, Brad sold that firm and is now focused on his single office location in Topeka. 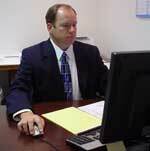 Brad started his accounting career January 1, 1989. 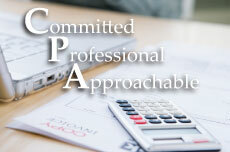 He spent 10 years at a public accounting firm and 5 years in private companies before opening his CPA firm. Brad has always had the desire to be his own boss and to own his own business. He has a masters degree in business administration and a whole spectrum of experience in accounting, business and sales, which has prepared him to manage his own accounting firm.